If you were curious what “roku” means, then you should know that it’s a Japanese word, or a number, more exactly, and “six” represents the sixth company that was founded by Anthony Wood. This American home digital media products manufacturer is competing against giants such as Apple, Google or Amazon, whose products have accessible prices and competitive features. But Roku found the key to success by releasing a series of digital media player set-top boxes. 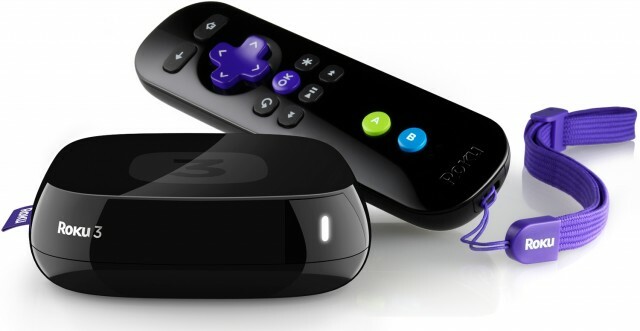 The first Roku was released in September 2013 and after the Roku 3 came in 2013, the company took a 2-year break and many fans were wondering if they would see a new product in 2015. This finally happened in April, when an updated version of the media player hit the market. There are many people who love to spend their time in the living room, watching movies and shows on their big TVs. A night in the company of your best friends is better than one night alone, and if there’s nothing important on your favorite channel, you can turn on your media streamer and watch TV exclusively online. The Roku 3 is one of the best devices and it’s available at a price of 89 dollars. It looks like a glossy black square black box with curved corners and sharp edges, but the middle is prominent. Its dimensions are 3.5×3.5×1 inches, it weights 5 ounces and comes with a remote with a built-in search button and microphone. If you don’t want to bother a person who falls asleep in your room, you can watch your movie quietly, by using earplug headphones which you can plug into the headphone jack. When you turn on the streamer, a tiny status LED will glow, so you know that the unit is ready to be used. In terms of connectivity options, the Roku 3 comes with dual-band Wi-Fi a/b/g/n (10/100 Fast Ethernet), it has HDMI output and USB, if you want to play local media. Since the device houses only 256 MB of internal storage, there’s a MicroSD card slot for expansion, so you can store more applications or games. The Roku 3 consumes less than 3.5w and if it has internet access, it will update itself when new versions are released for its software. Before starting to use the Roku 3, you need to set up an account on the official website, where you will enter your contact information and a payment method for Channel Store purchases, which means that you will be charged for purchases you authorize. The biggest disadvantage is that you can use the device for offline tasks, which forces you to have an active internet connection all the time. The Roku 3 is powered by a BCM11130 900MHz processor backed by 512MB of RAM and supports video resolutions up to 1080p. It’s unable to offer 4K streams, so the fans are waiting for the arrival of the Roku 4, whose release is highly expected. When it was launched, the Roku 3 had over 200 content sources in the Channel Store and many of them were “private channels”. The most popular applications in the UK are Netflix, BBC iPlayer and Demand 5, but the fans are happy to have access to Sky’s Now TV platform as well. In the US, the fans are more attracted to HBO Go, Amazon Instant Video, Vimeo, Google Play Store and DailyMotion, but there is also Sling TV, for which the subscribers had to pay 50 dollars to get three months of service. In December 2014, Roku hit 2000 channels and at that time were added FXNow, NatGeo, Cosmobody, CBSN, Smithsonian and Google Play Movies and TV. The Roku users are able to play games and they have a motion sensor incorporated into the remote control which enhances the game experience. Most of the people love to play Angry Birds, Galaga, Downhill Bowling, Sudoko, Jeopardy or Wheel of fortune. When they want to search for a TV title, the users can give voice commands, and this feature is activated on the remote control after downloading the Roku app on iOS and Android devices. You won’t have a screen mirroring functionality as on the Chromecast, but you can use third party applications such as Plex or MyMedia. April 2015 will see an update released for the Roku 3, with a refined design and minor additions such as a new movie feed informing the users about movies that are currently playing in theaters.